Save the Galaxy from the Reapers with our N7 Valkrie Rifle kit! 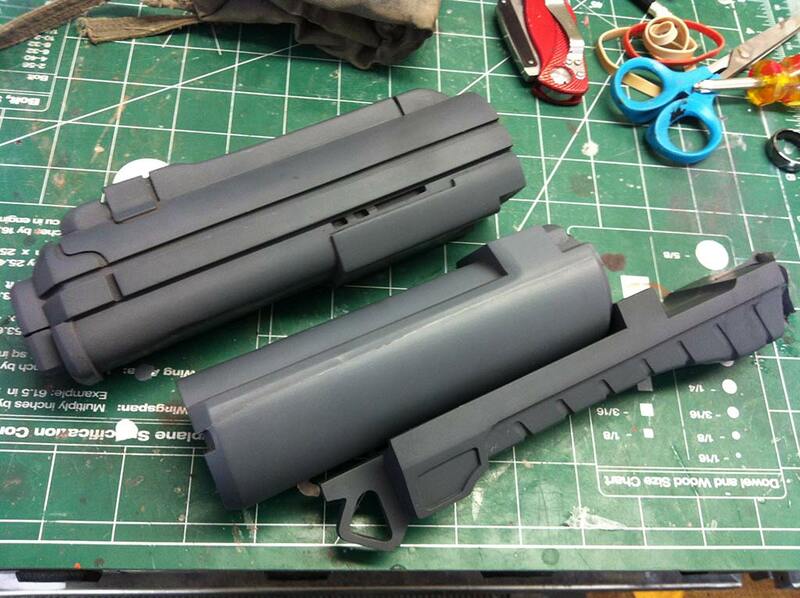 This kit is for urethane resin castings of the N7 Valkyrie rifle. One kit contains eight parts: Main body, rear stock, upper barrel, lower barrel, lower grip, upper barrel muzzle, lower barrel muzzle, and trigger. Main body, rear stock, upper and lower barrels are all slush cast parts and will be hollow. 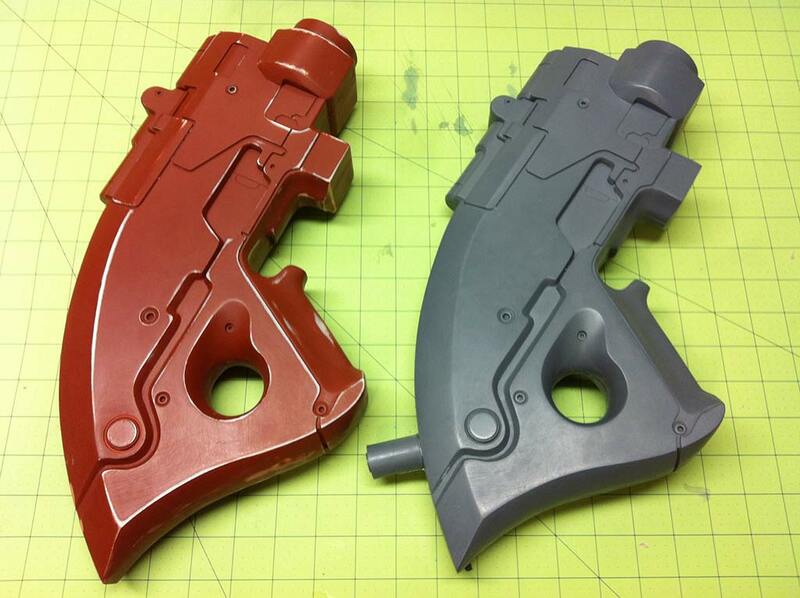 Lower grip, muzzles and trigger are all solid castings. Piece may be provided in white or gray tinted resin. This sale does not include any electronics for illumination or decals. This kit will require sanding of seam lines and light filling in some areas. Buyers familiar with prop kits will find this easy to assemble with a minimal amount of prep work needed before finishing. For references on how the pieces are attached, please see these three images – final assembly is up to the buyer, and they can choose to put it together in any manner they wish, but this is what has worked best for me! 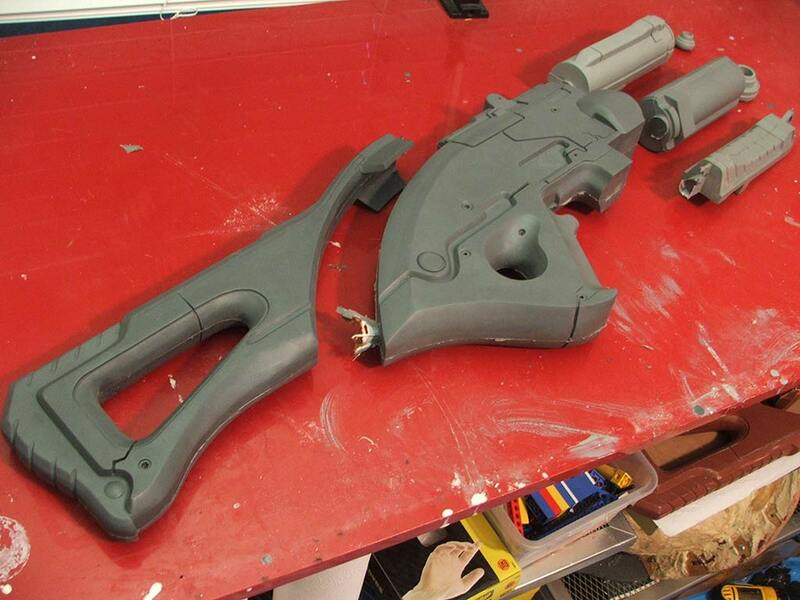 Click here for the N7 Valkyrie Rifle design and build log.